Suitable for agriculture, engineering, mining, industrial areas, such as continuous long distance water conveyance. 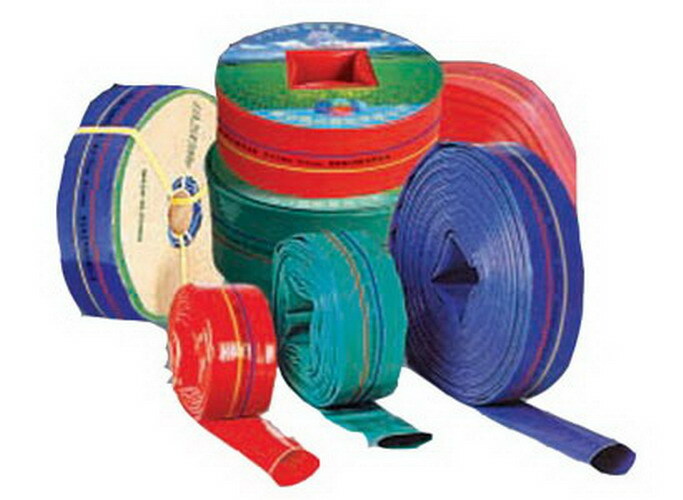 The PVC hose is made of high strength polyester industrial filament and high quality PVC, an extrusion coating molding, ensure that the products are in various working conditions and durable, softness, acid and alkali resistance, aging resistance, high pressure, non-toxic tasteless, environmental protection. It can be in the -5℃~+65℃ environment. Looking for ideal PVC LAYFLAT HOSE Manufacturer & supplier ? We have a wide selection at great prices to help you get creative. All the Agriculture Hose are quality guaranteed. We are China Origin Factory of Long Distance Water Conveyance. If you have any question, please feel free to contact us.